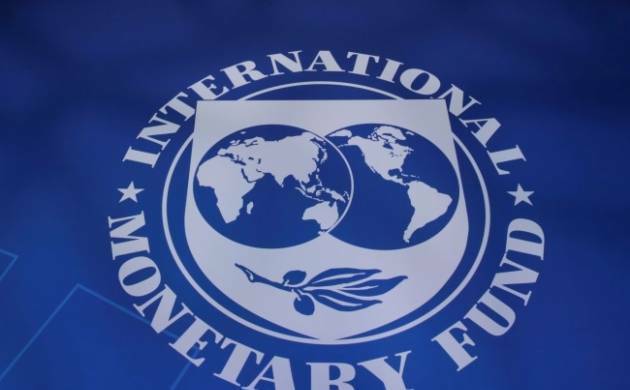 The International Monetary Fund (IMF) warned Pakistan that the country’s macroeconomic stability earned in the past three years could be undermined if it fails to continue with its reforms. Tokhir Mirzoev, Resident Representative of the IMF to Pakistan said, "The economic stability needed to be used to make the gains achieved through it more permanent." Mirzoev cautioned that the present trends could undermine macroeconomic stability "if the reforms do not continue". The warning came amidst looming political instability in the run up to a verdict in the high-profile Panama Papers case against beleaguered Prime Minister Nawaz Sharif and his family for alleged corruption and money laundering. The Supreme Court yesterday reserved its judgement in the case after concluding the hearings. It is not clear if the verdict would unleash chaos in the country. The Panama Papers last year revealed that Sharif sons and daughter owned offshore companies which managed their family's properties. The assets in question include four expensive flats in Park Lane, London. "The moment of opportunity earned through the stabilisation programme is a hard-earned opportunity to advance deeper structural transformation of the economy to ensure future stability," Mirzoev told the Dawn newspaper. He said the key trends were widening of the current account deficit and a still vulnerable fiscal framework. Pakistani economy has made progress in the last three years. The IMF has projected that Pakistan's economy will continue to grow at a healthy pace in 2017 and 2018. The IMF had raised its GDP growth forecast for Pakistan for FY 2017 from 4.7 to 5 per cent and projected GDP growth of 5.5 per cent. Noting that the budgeted revenue would require a "significant effort", Mirzoev said the decline in reserves and the growing current account deficit were sources of concern. "Currently the economy is flying on one engine and that engine is importing sectors, while the second engine exports is lagging," he said. Mirzoev said that the greater exchange rate flexibility will help rectify this imbalance, but beyond that, the government will need to engage with the exporter community more proactively to develop the plans to revive exports. "Adding more generation capacity to the system is crucial, but more generation without reforming a leaky distribution system could add to the circular debt and may compromise long-term sustainability of new energy projects. In this context, finding a permanent solution to power sector arrears will be critical in the period ahead," Mirzoev said when asked about the nature of the reforms to be undertaken. Mirzoev is currently on rounds meeting with business and opinion leaders around the country following the latest Article IV report released by the fund this week. "One important message of the report is the need to rebalance the federal-provincial fiscal relations. There are important gaps in the devolution of resources and responsibilities to the provinces under the last NFC award," he said. He said that the accord had created a mismatch between provincial government incentives and responsibilities. "The provincial governments should be empowered, but the devolution of powers needs to be better aligned with the devolution of resources; and the interests of the provinces could be better aligned with those of the centre and the broader national objectives," Mirzoev said. The outcome of this mismatch is a fiscal system that is unbalanced, insufficiently flexible, and less prepared to absorb large shocks, he said, adding that provinces have a say in key national policy decisions, but often do not bear the equal obligation when it comes to funding such policies. It is important to take appropriate steps to address the growing imbalances early on and not allow the economy to come back full circle to where it was before the "moment of opportunity" was attained, he said. "Reserves are still adequate for the foreseeable future, and there is still some debt carrying capacity, so the situation is not exactly dire. But its recent trend is worrisome and to reverse this will require some concerted effort," Mirzoev said.